Hosted by Aberdeen Standard Investments, this lunchtime talk features Wendy Baker, a partner with ICE Professional Asia Pte Ltd, who will share with FWA members insights on the emergence of Generation Z – particularly among women and shifts into the financial sector. The changing landscape of the world of work is prevalent within the financial sector as new trends begin to emerge and transformative technology surfaces to drive transitions within the sector. The most prominent occurrence and the factor shaping all sectors, not just finance, is the rise of Generation Z in today’s workforce. With Generation Z comes a new wave of ideas, perspectives and culture in conjunction with new questions raised: Do we adapt to them or should they adapt to us? The answers to such questions are not easy. In particular, the increasing emergence of women into the sector further exemplifies this new influx of fresh thinking. Women by their own nature bring new styles of leadership and cognitive approaches to problems and tasks. So should we approach Generation Z women differently in this scenario? And if so, how so? Understanding the nature of women from this generation will enable greater solidarity and harmonisation within organisations as a whole, and serve to support their long-term viability. Concurrently, we must be prepared to provide the foundational support and development opportunities for this generation of women in finance to progress. - How do we continue to encourage more young women of the next generation to make their mark? - What can we do to provide more opportunities for career progression and professional development? - Are Gen Z women different? Does our approach need to change? How can we adapt to their perspectives? 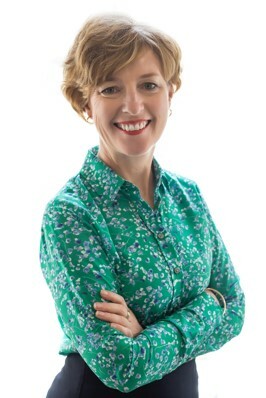 Wendy Baker is a Fellow of the UK’s CIPD and has worked in Human Resources for more than twenty years in the United Kingdom, Australia and Singapore. Wendy has worked across organisations such as American Express, JLL (HSBC), CBRE and Carter Holt Harvey to name a few, in regional and global roles. Her experience includes greenfield and transformation projects, strategic HR and business partnering for blue-chip organisations, experience on both the client and service provider sides for outsourcing and most recently M&A. Wendy joined ICE in 2018, an HR consultancy specialising in early and emerging careers, to support, manage and build the APAC operations of the business. She sees this move a natural alignment of her passion for bringing talent into an organisation and her understanding of People strategy as a commercial imperative. Wendy is on the Board of the New Zealand Chamber of Commerce in Singapore, and is the Chair for the newly formed Māia NZ Women’s Network Asia. She is also a Graduate member of the Australia Institute of Company Directors. Please note places are on a first-come-first-served basis so do register early! Deadline for registration is 9 January 2019. Please sign up early to avoid disappointment. We apologise that requests for places after the deadline will not be entertained. As places are limited and if you have RSVP but cannot make it, we appreciate that you cancel your registration so that we can make the place available to someone else. Cancellation details are provided below under NO SHOW POLICY. Thank you. FWA members attend free of charge. Please login on the website before registering. Diamond members- Registration at FWA member rates for up to 15 persons per Institutional Member. Platinum members- Registration at FWA member rates for up to 10 persons per Institutional Member. Gold members- Registration at FWA member rates for up to 5 persons per Institutional Member. Please click 'RSVP Now' and register using your Institutional Codes (please check with your respective coordinators for your Institutional Code). We understand that with busy schedules, there may be times when you cannot make an event after you have registered for it. In the event that you cannot make an event, we appreciate that you use our new tool now available to cancel the event. Cancellation is allowed upto 2 days ahead of the event date. To do so, please log in to the FWA website, under “My Account”, select “My Events”, you can cancel the event registration under the “Cancel registration” column. For members that no-show for 3 consecutive events, we regret to inform that you will be barred from attending any FWA events for the next 3 months. We hope you understand this policy as our events are often in high demand and your co-operation will allow those who can and wish to attend our events to do so.